Long before Internet Explorer became the browser everyone loves to hate, it was the driving force of innovation on the Internet. Sometimes it's hard to remember all of the good that Internet Explorer did before Internet Explorer 6 became the scourge of web developers everywhere. Believe it or not, Internet Explorer 4-6 is heavily responsible for web development as we know it today. A number of proprietary features became de facto standards and then official standards with some ending up in the HTML5 specification. It may be hard to believe that Internet Explorer is actually to thank for a lot of the features that we take for granted today, but a quick walk through history shows that it's true. It's about time someone showed Internet Explorer some love. On his site, NCZOnline, Nicholas C. Zakas walks us through some of the major contributions to the modern web that we owe to IE. In many regards, document.all was the very first version of document.getElementById(). You still used an element's ID to access it through document.all, such as document.all.myDiv or document.all["myDiv"]. The primary difference was that Internet Explorer used a collection instead of the function, which matched all other access methods at the time such as document.images and document.forms. 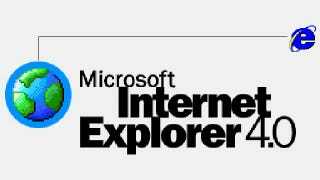 Internet Explorer 4 was also the first browser to introduce the ability to get a list of elements by tag name via document.all.tags(). For all intents and purposes, this was the first version of document.getElementsByTagName() and worked the exact same way. If you want to get all < div > elements, you would use document.all.tags("div"). Even in Internet Explorer 9, this method still exists and is just an alias for document.getElementsByTagName(). Internet Explorer 4 also introduced us to perhaps the most popular proprietary DOM extension of all time: innerHTML. It seems that the folks at Microsoft realized what a pain it would be to build up a DOM programmatically and afforded us this shortcut, along with outerHTML. Both of which proved to be so useful, they were standardized in HTML5. The companion APIs dealing with plain text, innerText and outerText, also proved influential enough that DOM Level 3 introduced textContent, which acts in a similar manner to innerText. Along the same lines, Internet Explorer 4 introduced insertAdjacentHTML(), yet another way of inserting HTML text into a document. This one took a little longer, but it was also codified in HTML5 and is now widely supported by browsers. contextmenu – fires when you use the secondary mouse button on an element. First appeared in Internet Explorer 5 and later codified as part of HTML5. Now supported in all major desktop browsers. beforeunload – fires before the unload event and allows you to block unloading of the page. Originally introduced in Internet Explorer 4 and now part of HTML5. Also supported in all major desktop browsers. mousewheel – fires when the mouse wheel (or similar device) is used. The first browser to support this event was Internet Explorer 6. Just like the others, it's now part of HTML5. The only major desktop browser to not support this event is Firefox (which does support an alternative DOMMouseScroll event). mouseenter – a non-bubbling version of mouseover, introduced by Microsoft in Internet Explorer 5 to help combat the troubles with using mouseover. This event became formalized in DOM Level 3 Events. Also supported in Firefox and Opera, but not in Safari or Chrome (yet?). mouseleave – a non-bubbling version of mouseout to match mouseenter. Introduced in Internet Explorer 5 and also now standardized in DOM Level 3 Events. Same support level as mouseenter. focusin – a bubbling version of focus to help more easily manage focus on a page. Originally introduced in Internet Explorer 6 and now part of DOM Level 3 Events. Not currently well supported, though Firefox has a bug opened for its implementation. focusout – a bubbling version of blur to help more easily manage focus on a page. Originally introduced in Internet Explorer 6 and now part of DOM Level 3 Events. As with focusin, not well supported yet but Firefox is close. Frames were initially introduced by Netscape Navigator 2 as a proprietary feature. This included < frameset >, < frame >, and < noframes >. The idea behind this feature was pretty simple: at the time, everyone was using modems and roundtrips to the server were quite expensive. The main use case was to provide one frame with navigational elements that would only be loaded once, and another frame that could be controlled by the navigation and changed separately. Saving server render time and data transfer by having navigation as a separate page was a huge win at the time. Internet Explorer 3 supported frames as well, since they were becoming quite popular on the web. However, Microsoft added its own proprietary tag to that functionality: < iframe >. The basic idea behind this element was to embed a page within another page. Whereas Netscape's implementation required you to create three pages to have static navigation (the navigation page, the content page, and the frameset page), you could create the same functionality in Internet Explorer using only two pages (the primary page including navigation, and the content page within the < iframe >). Initially, this was one of the major battlegrounds between Internet Explorer and Netscape Navigator. The < iframe > started to become more popular because it was less work than creating framesets. Netscape countered by introducing < ilayer > in version 4, which had very similar features to < iframe >. Of course, the < iframe > won out and is now an important part of web development. Both Netscape's frames and Microsoft's < iframe > were standardized in HTML 4, but Netscape's frames were later obsoleted (deprecated) in HTML5. While Internet Explorer's implementation of CSS was limited to font family, font size, colors, and backgrounds, the implementation was solid and usable. Meanwhile, Netscape 4′s implementation was buggy and hard to work with. Yes, in some small way, Internet Explorer led to the success of CSS. The box model, an important foundation of CSS, was heavily influenced by Internet Explorer. Their first implementation in Internet Explorer 5 interpreted width and height to mean that the element should be that size in total, including padding and border. This came to be known as border-box sizing. The W3C decided that the appropriate box sizing method was content-box, where width and height specified only the size of the box in which the content lived so that padding and border added size to the element. While Internet Explorer switched its standards mode to use the content-box approach to match the standard, Internet Explorer 8 introduced the box-sizing property as a way for developers to switch back to the border-box model. Of course, box-sizing was standardized in CSS3 and some, most notably Paul Irish, recommend that you should change your default box-sizing to border-box. text-overflow – used to show ellipses when text is larger than its container. First appeared in Internet Explorer 6 and standardized in CSS3. Now supported in all major browsers. overflow-x and overflow-y – allows you to control overflow in two separate directions of the container. This property first appeared in Internet Explorer 5 and later was formalized in CSS3. Now supported in all major browsers. word-break – used to specify line breaking rules between words. Originally in Internet Explorer 5.5 and now standardized in CSS3. Supported in all major browsers except Opera. word-wrap – specifies whether the browser should break lines in the middle of words are not. First created for Internet Explorer 5.5 and now standardized in CSS3 as overflow-wrap, although all major browsers support it as word-wrap. Additionally, Internet Explorer 4 had a feature called transitions, which allowed you to create some basic animation on the page using filters. The transitions were mostly based on the transitions commonly available in PowerPoint at the time, such as fading in or out, checkerboard, and so on. All of these capabilities are featured in CSS3 in one way or another. It's pretty amazing that Internet Explorer 4, released in 1997, had all of these capabilities and we are now just starting to get the same capabilities in other browsers. Clipboard Access – now split out from HTML5 into its own spec, grants the browser access to the clipboard in certain situations. This API originally appeared in Internet Explorer 6 and was then copied by Safari, who moved clipboardData off of the window object and onto the event object for clipboard events. Safari's change was kept as part of the HTML5 version and clipboard access is now available in all major desktop browsers except for Opera. Rich Text Editing – rich text editing using designMode was introduced in Internet Explorer 4 because Microsoft wanted a better text editing experience for Hotmail users. Later, Internet Explorer 5.5 introduced contentEditable As a lighter weight way of doing rich text editing. Along with both of these came the dreaded execCommand() method and its associated methods. For better or worse, this API for rich text editing was standardized in HTML5 and is currently supported in all major desktop browsers as well as Mobile Safari and the Android browser. While it's easy and popular to poke at Internet Explorer, in reality, we wouldn't have the web as we know it today if not for its contributions. Where would the web be without XMLHttpRequest and innerHTML? Those were the very catalysts for the Ajax revolution of web applications, upon which a lot of the new capabilities have been built. It seems funny to look back at the browser that has become a "bad guy" of the Internet and see that we wouldn't be where we are today without it. Yes, Internet Explorer had its flaws, but for most of the history of the Internet it was the browser that was pushing technology forward. Now that were in a period with massive browser competition and innovation, it's easy to forget where we all came from. So the next time you run into people who work on Internet Explorer, instead of hurling insults and tomatoes, say thanks for helping to make the Internet what it is today and for making web developers one of the most important jobs in the world.